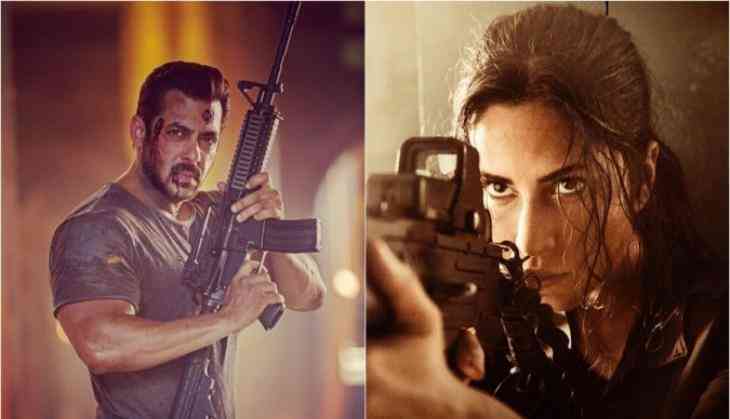 Tiger Zinda Hai Movie Review - Filmmaker Ali Abbas Zafar has come up with the sequel of 2012 released blockbuster film Ek Tha Tiger, Tiger Zinda Hai starring Salman Khan and Katrina Kaif. The director has taken forward the franchise in his own way and it looks like that this time the movie has got better one. The film starts with a powerful and action-packed entry scene of our Tiger (Salman Khan). Then filmmaker has shown how Tiger and Zoya (Katrina Kaif) are living their happy and romantic life. Then one day Tiger gets a call from his man Shenoy (Girish Karnad) who says “Chutti over, back to work,” and explains the whole mission to Tiger. Tiger finally returns back to nation's duty and makes a team to execute the whole mission. Tiger's team includes Angad Bedi, Kumud Mishra and others. Well, this time the Tiger has to fight with the king of terrorism in Iraq who has hostaged India's nurses. With lots of turning points, Tiger's Zoya also joins the plan. Things change soon as the mission becomes a joint mission of India and Pakistan. Ali Abbas Zafar is best and he is best in his work that he has shown while making Tiger Zinda Hai. A new filmmaker always feels a pressure when he has a superhit franchise in his hand, but the way Ali has managed to do it, will surely make you feel that somehow Ali is better than Kabir Khan. Everything in the movie looks perfect and Salman Khan in the movie has his own style which in reality is given to him by the director Ali himself. Salman Khan is and will always be the king of silver screen. He is a star and every time you see him on the big screen you will see his aura as Tiger. His perfection can be seen in all aspects be it action, dialogue delivery, romance, and what not. While Katrina who has not much in the first part of the film 'Ek Tha Tiger' has much more this time in the sequel and that maybe because her character has got a new level after. In simple terms, Katrina looked and performed beautifully in the film. Other actors like Girish Karnad, Kumud Mishra, Angad Bedi have also done well in their own space. Well, we should appreciate the villain of the film, Sajjad Delfrooz as he has nailed the silver screen with his own scary looks. The music of the film is good for the promotions but not for the film. The story of the film is so good that you will sometime feel it is unnecessary to have these songs. Well, Vishal-Shekhar are good in their work, even the background music of Julius Packiam has gone one his own way to make Tiger better. This is must watch not just because it is a Salman Khan film or you are a Salman Khan fan but also for all the cinema lovers out there. Although the actors Shah Rukh Khan and Salman might have disappointed their fans with previous films that were made in this year but Tiger Zinda Hai will give you all the reasons to be happy and joyful on this Christmas Weekend.